Since most of the country will be experiencing the polar vortex this weekend, here is a soup to warm you up. Sausage, Bean and Spinach Soup! More like a meal in a bowl. I hope you give it a try. 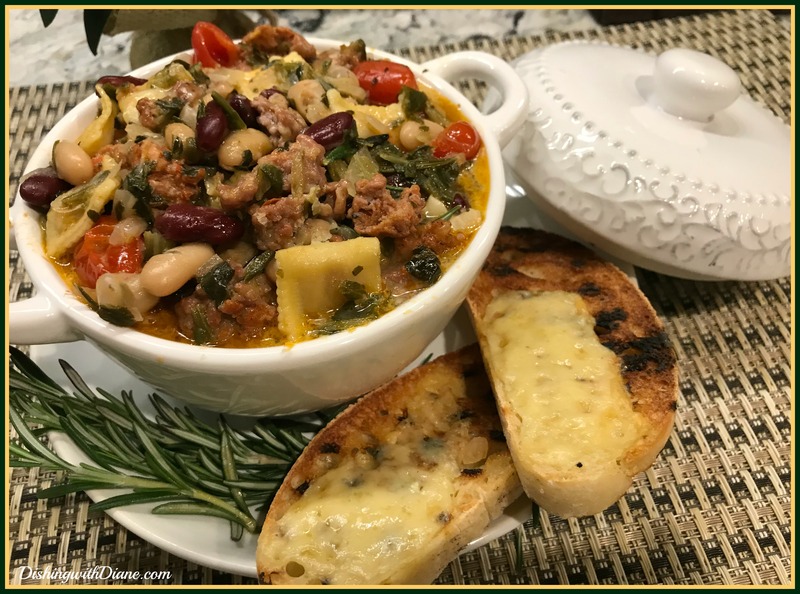 It is filled with sausage, red kidney beans, canellini beans, tomatoes, spinach and an extra touch of mini cheese filled ravioli. (The ravioli can be found at Trader Joe’s). 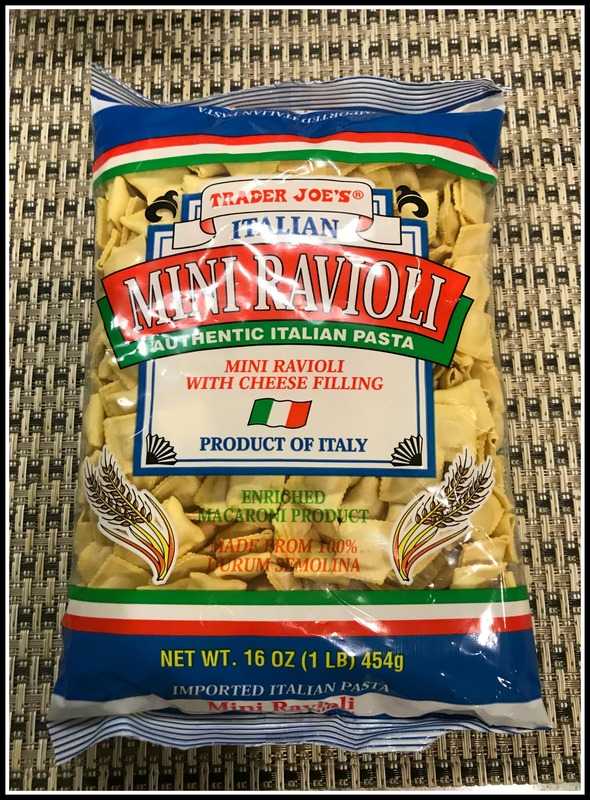 mini cheese filled ravioli or any small pasta can be substituted – orzo, or mini farfalle – any quantity you choose. In a large soup pot, heat the olive oil over medium; add the sausage and cook until lightly browned and crispy, about 7 to 8 minutes, stirring frequently. Remove with a slotted spoon and set aside. Add the onions to the hot oil, season with some salt and pepper and cook until they begin to soften, about 5 to 7 minutes. Add in the garlic and cook for 30 seconds more. Add the red pepper flakes and tomato paste and cook for 1-minute coating the onions with the tomato paste. Add 1/4 cup of red wine to the pan, scraping up any browned bits from the sausage. Add the remaining stock, beans, spinach, bay leaves, grape tomatoes, rosemary, thyme and Parmesan rind, if using. Bring to a boil, cover, lower the heat and simmer for 30 minutes. Fish out the bay leaves, herb stems and Parmesan rind; add in the cooked sausage, heavy cream, butter and grated cheese, and cook until soup starts to thicken slightly, about 5 minutes more. I separately cook mini pasta and add it to the soup before serving. I serve this with a slice of crusty bread and a little bit of Dubliner cheese melted on top. (Dubliner cheese is imported by Kerrygold and tastes like a nutty cheddar cheese). This entry was posted in Soup on January 29, 2019 by aries041158. dreary…this is the perfect comfort food!